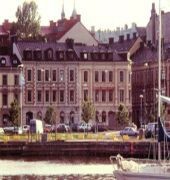 The BEST WESTERN Hotel Baltic, a totally non-smoking property, is situated in a beautiful central location in Sundsvall, - close to the harbor, central station (600 meters), airport coaches, shopping, restaurants and Casino Cosmopol. The property dates back to the 1880s, but over the last few years it has undergone careful renovation in keeping with its superb standards and comfort, and appeals to both business travelers and people on the lookout for somewhere special to stay when on holiday. A ship owner by the name of Wickberg lived in what is now our conference facility in the late 19th century. 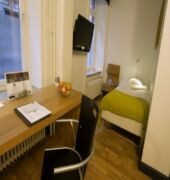 This beautiful room is 250 square meters in area and enjoys views over the harbor. Now its primary function is as a source of inspiration at meetings, conferences, training courses and other get-togethers. The BEST WESTERN Hotel Baltic is not a large, impersonal hotel - nor does it wish to be.